LONDON (Reuters) - The Russian government is no longer capping oil output increases by local producers, one of the country's top energy companies Gazprom Neft said on Tuesday, signalling that Moscow's supply-restraint pact with OPEC has effectively expired for now. Deputy chief executive Vadim Yakovlev told a briefing in London that the company's production was back to record levels observed in 2016 before Russia clinched a deal with OPEC to reduce output from the start of 2017. "The instructions we are getting from the government is that we can restore the levels before restrictions were enrolled," Yakovlev said. "We haven't been restrained by the government from increasing above 2016 levels," Yakovlev said adding the company was able to add more barrels next year to satisfy growing demand. "There are signs the oil market is overheating," he said. OPEC and its allies including Russia agreed to reduce output by 1.8 million barrels per day from the start of 2017 with Moscow pledging to cut some 300,000 bpd. As oil prices hit $80 per barrel in recent months and with global oil inventories shrinking fast, Saudi Arabia and Russia agreed to ease restrictions although they never said what exact levels they would target. Russian oil production reached 11.36 million barrels per day (bpd) in September, a new post-Soviet high. Russian President Vladimir Putin said Russia could add another 300,000 bpd to its output next year. 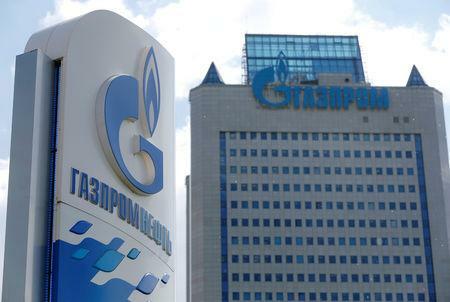 Yakovlev said Gazprom Neft was ready to lift production by a further 20,000 to 30,000 barrels per day (bpd) this year and add another 50,000 bpd next year. "The (oil) market is well supplied. But there are big uncertainties regarding the end of the year with regards to Iran and Venezuela. We may have an opportunity to grow further," he said.